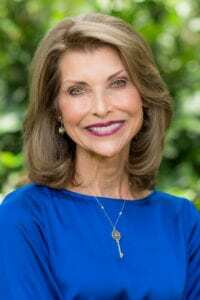 Hannibal-LaGrange University announced Pam Tebow as the keynote speaker for the 78th Annual Booster Banquet. The banquet will be held Friday, November 22, at 7 pm. Tickets for the banquet will be available for purchase on September 1. Pam Tebow is the mother of Tim Tebow, famous NFL quarterback. Pam’s notoriety increased when Tim, then quarterback for the Florida Gators, became the first sophomore to win the Heisman Trophy. During the nationally televised Heisman broadcast, ESPN aired a portion of an interview that focused on her refusal to abort Tim when she was advised to do so. She was given an instant national platform to encourage the prolife message. Pam is passionate about encouraging people of all ages to trust the Lord with all their hearts for all their lives and use the incredible influence God has given them to eternally impact their world. This is the subject of her first book Ripple Effects, to be released Mother’s Day 2019. The daughter of an army colonel, Pam lived all over the world until she went to college at the University of Florida. She set out to gain influence by building an impressive college resume with a long list of accomplishments, only to discover the emptiness of exalting self. Through a series of what she calls “God stories,” Pam discovered the joy of investing herself in the lives of those in her sphere of influence. Her college resume ultimately included graduating with honors in journalism and communications and the shaping of her passion for life-impacting influence. Pam and her husband Bob met in college and have now been married for over 40 years. They have five children and eight grandchildren. Known as homeschool pioneers, Bob and Pam began teaching their children at home in 1982 before the term “home school” had even been coined. Pam says that by God’s grace, all five of their children were homeschooled from kindergarten through high school, and all five received college scholarships. The Tebows lived for a number of years in the Philippines, where Bob continues to have an ongoing ministry, the Bob Tebow Evangelistic Association (BTEA). Through the BTEA and numerous mission trips, over one million people are professing their faith in Jesus Christ every year. The Tebows also have an orphanage in the Philippines and ongoing ministries in several semi-closed Asian countries. Pam loves speaking for women’s events, prolife, and other non-profit groups, and various events across the country. She has appeared on Good Morning America and other talk shows and won national awards, including Eagle Forum’s Woman of the Year and Witness in the Public Square awards in 2012, the Commission for Women’s Inspiring Woman of the Year award in 2013, Extraordinary Woman of the Year in 2015, and National Pro Life Recognition Award in 2017. For more information about the 2019 Booster Banquet, please contact Lauren Youse ’05 M ‘16, director of alumni services and development, at 573.629.3126, or via email at lauren.youse@hlg.edu. Each year HLGU family and friends gather for fun and fellowship at the annual Booster Banquet. The name reflects its origins. On October 12, 1941, Dr. C. Oscar Johnson, pastor of Third Baptist Church of St. Louis and member of the College Board, proposed a Booster Banquet as a way to promote fellowship and raise money for the college. It was a “huge success” and became an annual event. Over the years it has featured colorful and prestigious speakers from all walks of life. Today it is one of our most anticipated events. Booster Banquet is typically held the Friday before Thanksgiving.